Fig. 4-4. 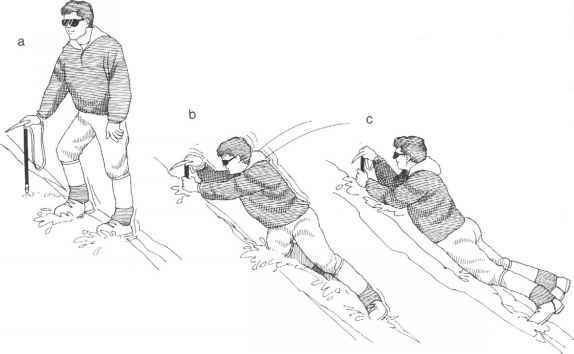 Navigating to a specific point on a line: a, inevitable minor errors can sometimes have disastrous consequences; b, to avoid such problems, follow a course with an intentional offset. about to make the climb for the first time, so you'll be ready with the right answers when another climber asks about it. If the guidebook was confusing or wrong, take time to write to the publisher.